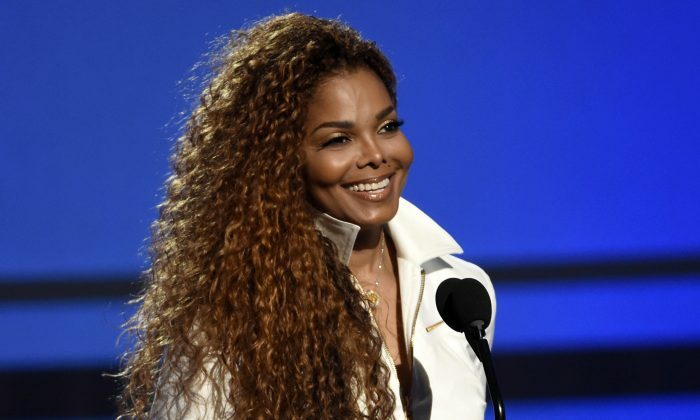 It’s official—Janet Jackson is pregnant. Jackson confirmed to People magazine that she is expecting her first child at the age of 50. “We thank God for our blessing,” she told the magazine. Jackson also posed for a photo where she is seen holding her growing baby bump. There has been much speculation that Jackson was pregnant, but until now, there was no official word from the “All For You” singer. In April, she announced that she was planning a family with her husband Wissam Al Mana, which meant she had to postpone her Unbreakable World Tour. Two weeks prior to Jackson’s 50th birthday in July, rumors circulated that Jackson was expecting. Jackson’s older brother, Jermaine Jackson, confirmed the news in an interview with Us Weekly back in May. Jackson’s modus operandi is to keep a low-profile, and has stayed true to that throughout her pregnancy. However, the first-time mom-t0-be was photographed in London on Sept. 27 at baby furniture store Back in Action. Jackson was dressed comfortably in sweatpants, a black sweater, and sneakers. Jackson secretly married Al Mana, 41, in 2012.